BALTIMORE (Hoodline) — Craving sandwiches? Hoodline crunched the numbers to find the best affordable sandwich sources in Baltimore, using both Yelp data and our own secret sauce to produce a ranked list of where to venture next time you’re on the hunt. Topping the list is Chaps Pit Beef, a local staple that has appeared in “The Wire,” as well as on “No Reservations” with Anthony Bourdain and “Diners, Drive-Ins and Dives” with Guy Fieri. It’s best known for the pit beef sandwich: roast beef on a bun topped with onions and “tiger sauce” made from horseradish and mayonnaise. Other smoked meat choices are corned beef, turkey, ham and sausage. Mix and match them to create your own sandwich, topped with horseradish or one of the barbecue sauces. Fresh-cut french fries are another part of the classic Chaps experience. 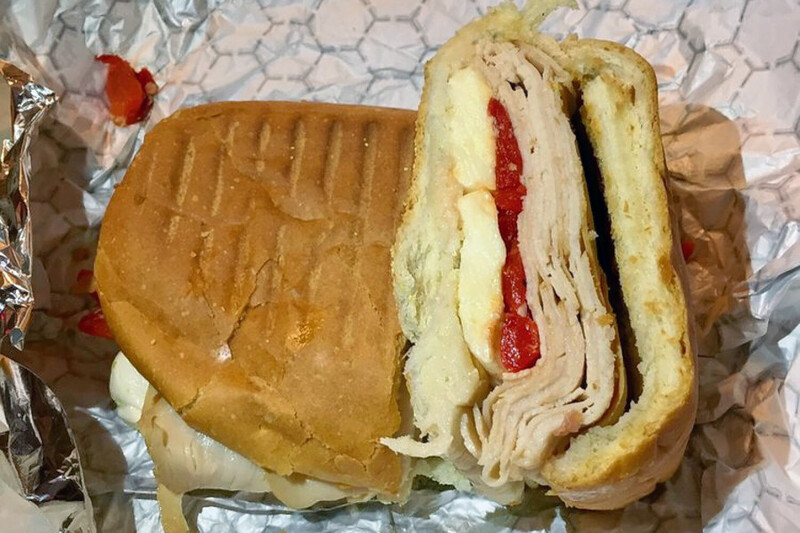 Located at 5801 Pulaski Highway on the east side of town, it is the most popular cheap sandwich spot in Baltimore, boasting four stars out of 1,029 reviews on Yelp. Next up is Seton Hill’s Trinacria Foods, situated at 406 N. Paca St. It’s a traditional Italian deli and grocery, serving sandwiches, soups and salads, as well as meats and cheese by the pound. Sandwich lovers will find classic meatball subs, cold cut sandwiches, prosciutto on focaccia, and more. There are panini and breakfast sandwiches, too. With 4.5 stars out of 230 reviews on Yelp, the business has proven to be a local favorite. On the Hill Cafe is another cheap go-to, with four stars out of 190 Yelp reviews. It emphasizes organic and locally sourced foods, according to its website. Start the day with a breakfast sandwich on bread or bagel. On the menu, look for sandwich offerings like the Mosher, made with cumin-crusted pork, Monterey Jack cheese, balsamic onions and cilantro mayonnaise on a baguette. 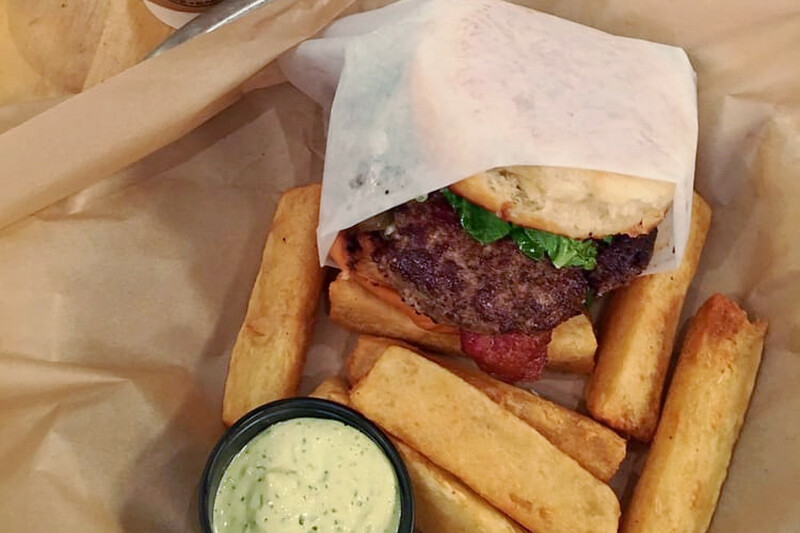 Burgers are made with grass-fed beef and can be customized with anything from Gorgonzola to pico de gallo. Head over to 1431 John St. in Bolton Hil to try it for yourself. 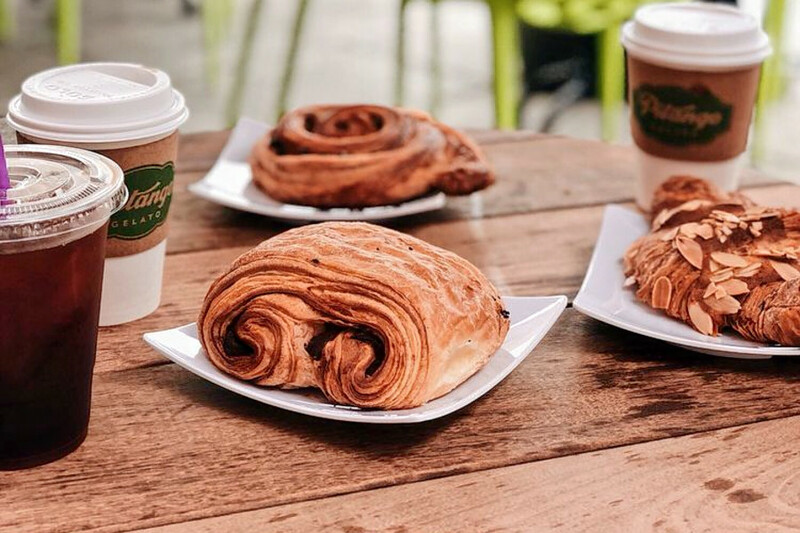 Lastly, over in Fells Point, check out Pitango Bakery + Café, which has earned four stars out of 156 reviews on Yelp. It has several other locations in the area. Also inspired by the traditional Italian deli, this spot from the folks at Pitango Gelato bakes its own breads, including focaccia, ciabatta and country loaf. It uses these breads to make classic mortadella, prosciutto, roasted chicken and salami sandwiches. There are also open-faced toasts and salads built around beets, fennel or faro. 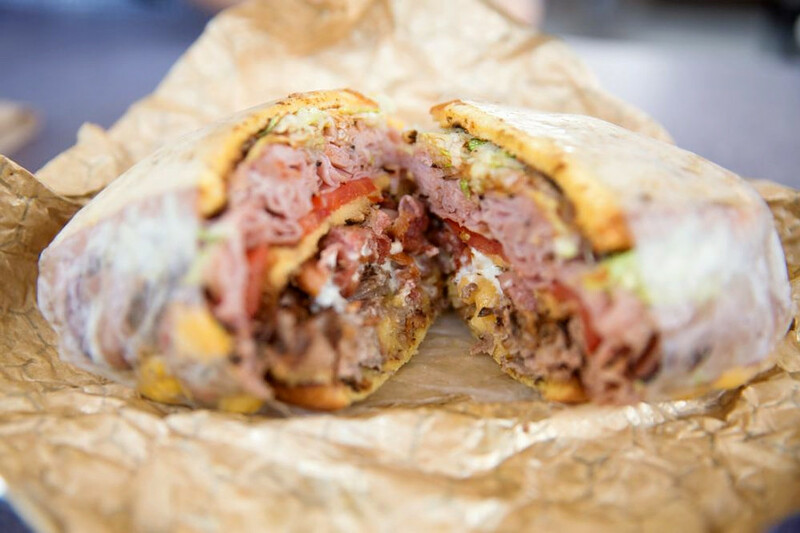 Dig in by heading over to 903 S. Ann St.